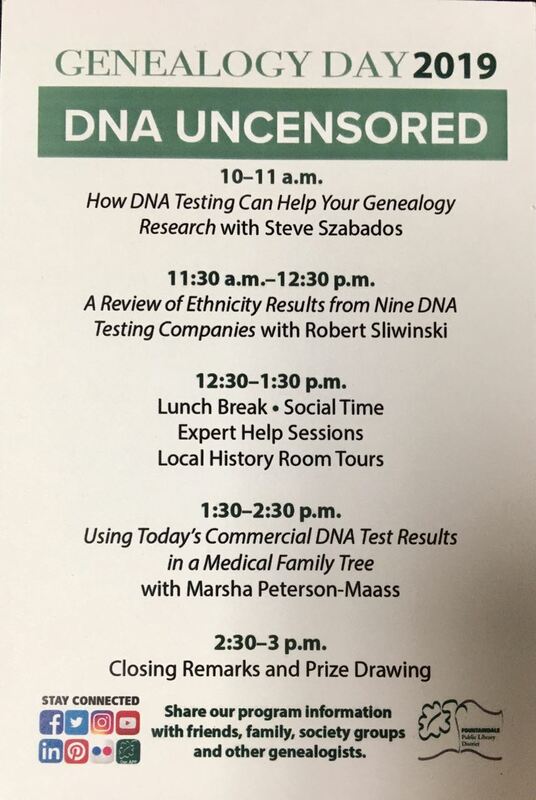 The DNA Discovery Group is a valuable benefit for members but guests are welcome to "test drive" and sit in on a session. 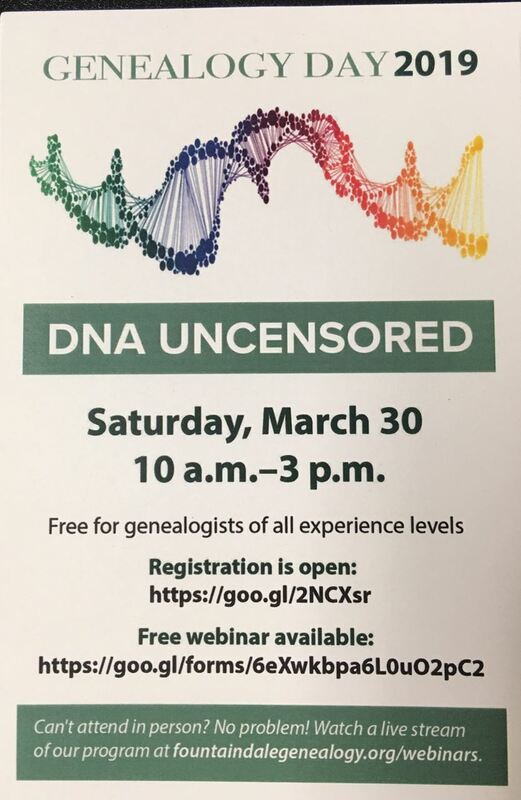 Contact Judy Hughes at webmaster@nsgsil.org with questions. Today we will have a special event.